Comfortable Design Featuring Ergonomic Finger Rest. Compatible for slicing, styling and cutting. 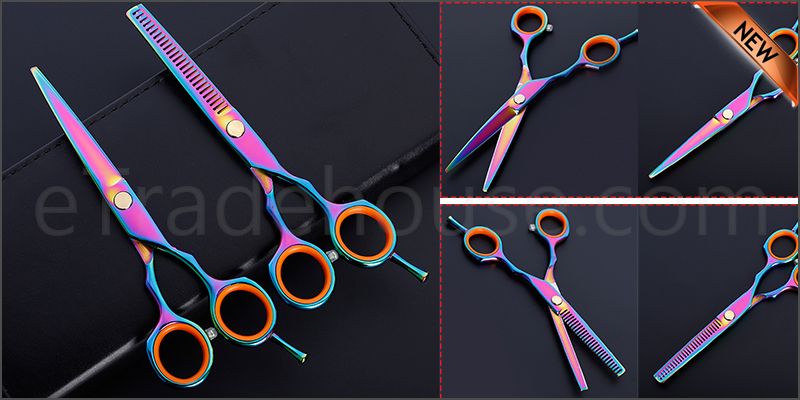 Very Smooth, Great Finishing Cutting Shears. Comes with a case making each tool accessible and well-protected. Ideal for Hair Stylists, Barber Shops and Pet Grooming.